Here are some lobster facts that you probably does not know yet. 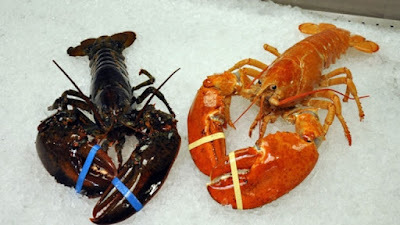 People have a lot of question about lobsters because they are one of the most popular seafood which likely you will encounter when you have a dinner or meal in seafood restaurant. 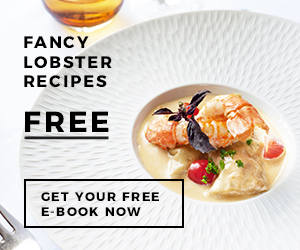 How do you keep the fresh lobster alive? Are lobsters good to be consumed? Do lobsters have some healthy nutrition? And other questions might pop out when you take interest to learn more about the lobsters. So, here are several facts of lobsters which you may want to know. Some research suggest that lobsters keep growing like forever, however the experts cannot tell how long the lobsters can live since the traps are not designed to catch the largest lobsters. You can say that lobsters are cannibal because they live by eating fresh foods and they eat what’s around them at the moment. So when they spot another lobster, they will catch and eat it. This is also the reason of why lobsters culture is sometime not profitable because their cannibalistic nature to each other lobsters. It will spend a lot of expenses when they kill and eat each other. Okay so to breed, the female lobsters will spread some ‘special’ pheromones to attract male lobsters while giving them signals that they are in the mood. It is usually happen right after the female lobsters shed their shells. When the lobsters shed their shells, they are in the most vulnerable state and thus they are in danger because other lobsters might eat them. However, when the female lobster spread their pheromones, most of the male lobsters usually option to mate with them rather than killing them. When the female lobster mating with the male one, it takes about 6 to 9 months later for the eggs to start appear on their tails. And for the next 6 to 9 months again, the eggs will hatch. One female lobster about one-pound-and-a-half can produce eight to twelve thousand of eggs and each egg has a size about raspberry segment. Female lobsters are really player because the eggs could be from multiple male lobsters meaning that the female lobsters are not monogamous. Some unique lobster facts which probably sound so weird are the fact that the lobsters taste their foods with their legs. Their legs have these chemosensory and feet hairs which they are going to use to identify the foods. If you pay attention, they are some small antennae right on their eyes. This antenna is used to track down the possible foods even when the foods are located far away from them. If you go to a seafood market, you can see that the lobsters are like to flip their legs. Well, it is because they are looking for some foods while also dissolved some substances in water. Other weird lobster facts are about how they chew their foods and how the lobster teeth are set on their stomach. Their set of teeth is called gastric mill which used to grind and break the foods. This particular system is located behind their eyes with the size of a walnut for average lobsters with 1 pound weight. When the red lobster is served on your table, you may think that all the lobsters in the whole world have red color before they are cooked because it is one of their characteristics. However, it is not always like that. For your information, the lobsters before they are cooked can have various colors. 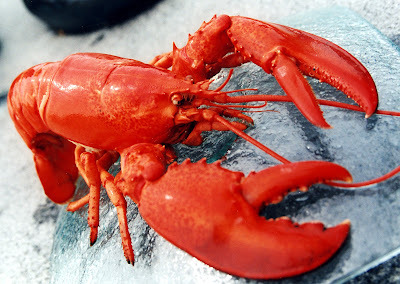 Most of the lobsters that caught wildly have greenish brown shells and then they are turns red when the chefs cooked them. Why is that so? It is because the heat which used to cook the lobsters breaks the bond between protein and pigmentation in the lobsters’ shell. 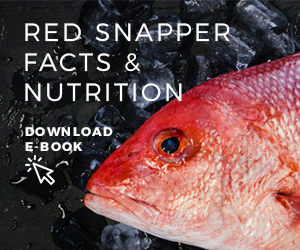 And the red color that appears when they are cooked is due to astaxanthin. 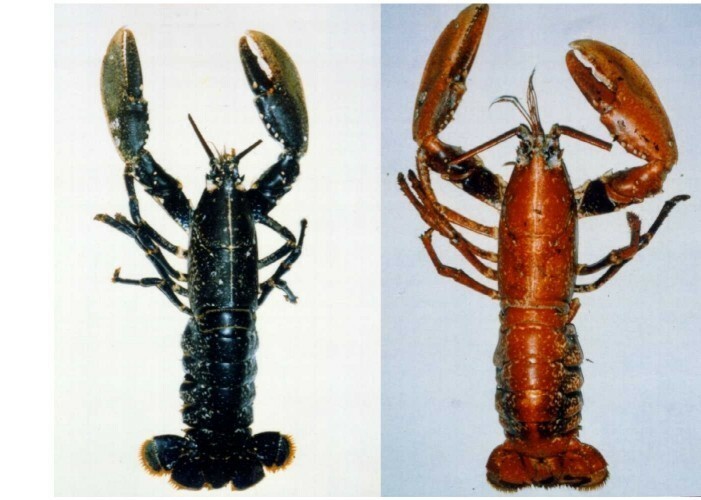 It is a type of carotenoid pigment that can be found in some orange-colored plants that consumed by other animals before they are eaten by the lobsters. 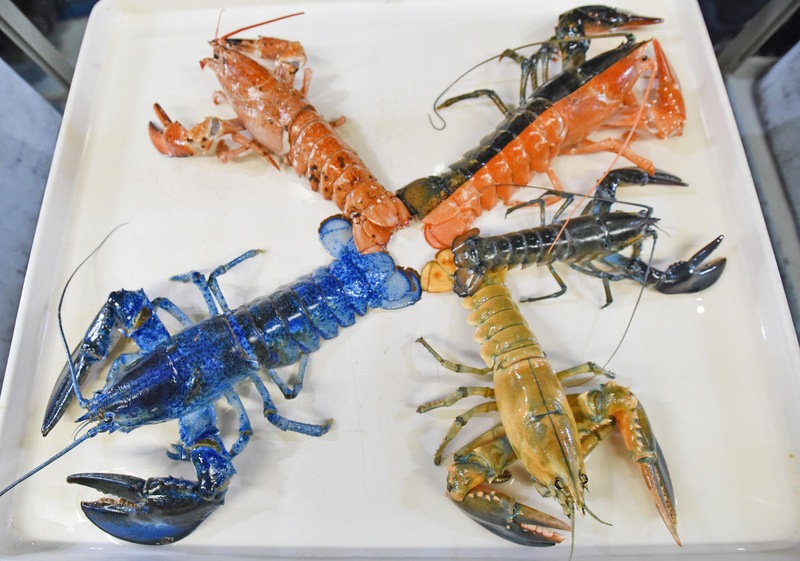 Prior cooking, the lobsters can have various colors from yellow, blue, orange, green, and so on. Sometime the variation of the colors has to do with the foods they are eaten before being caught and cooked. Fun facts about lobsters, they are pee out of their faces. This is why it is a good thing that we do not eat their head. Lobsters pees from nephrophores, some openings which located right at the second antennae base. However, lobsters also like to waste their excreta from other places on their body. Actually, excreting is not just about getting rid toxins, but it is also as a part of their mating ritual. Lobsters have very big claws which they use to crush their foods, protection, and fight. Lobsters tend to have dominant claw, either the left one of the right one. 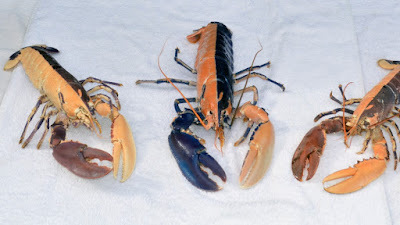 During fight or other circumstances, the lobsters can lose their claw, but for them, it does not a big deal since they can re-grow the claws back. The claw will grow again when they are molting and the molting process can happen several times each year till the lobsters mature. The missing claws will re-growing and the shape and the size are like the original. They also tend to drop their claws if necessary in order to get away from the predators. And last but not least, this is probably some lobster facts that will make you think different when cooking the lobsters. Okay, so some people avoid cooking lobsters because they think the lobster make a scream noise but it is in fact does not happen. Those sound that you like to hear is not lobsters screaming in pain, but it is just a sound from the air escaping the lobster’s shell.